Diagnosing a leak in your roof is not always a straightforward task, every roof is different and depending on the age, layout of your home and the design of the roof – the water ingress point could either be obvious or far from it. A leaky roof often leads to damp problems and even ceiling collapses as well as other potentially major issues – so it is important to get a roof leak seen too as soon as possible. 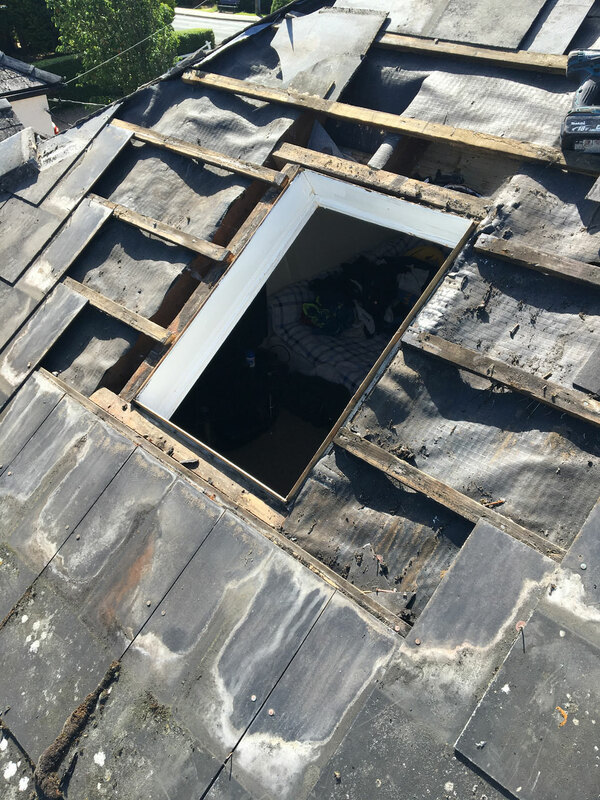 With this in mind you will want to be sure to employ a competent and experienced roofer who will be able to diagnose the problem quickly and offer up a solution on the spot. At Bluedot Roofing we pride ourselves on helping on clients get the best possible service at the best possible price. We believe that honesty speaks for itself. This philosophy ensures that we always have a clear understanding with our clients. We will be direct and any current problems – if any, will be highlighted, along with other potential problems that could arise in the near future. There’s no obligation to use us to carry out the repairs – but of course we would like to be of service. We would also invite that you get a second opinion, should you feel it necessary when dealing with any tradesmen. Some leaks can be quickly repaired, for example a missing tile or slate. These are easy fixes that can often be done on the spot. In major cases such as leaking valleys, velux windows etc, we will always try to offer a short term, on the spot fix and a long term solution. We are happy to help with advice so feel free to contact us if you think you may have a leak.